BSB Construction has been in business for over 15 years. 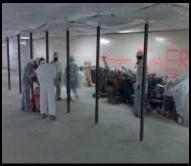 Originally specializing in asbestos abatement, and demolition. 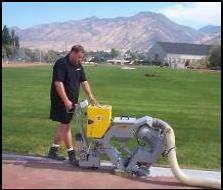 We have acquired the equipment and expert knowledge to remove flooring and resurface concrete slabs. BSB now has the technology to extract oil contamination from concrete slabs, including “animal fats” and kitchen oils, eliminating the need to jeopardize a coating warranty or force the removal and re-pour of a new slab. Our wide range of specialties come with our employees specific knowledge to provide solutions not only in the abatement field, but also that of concrete floor rehabilitation. Whether it is removal of VCT, Carpet, or Epoxy Floor Systems, Demolition or Abatement, BSB has the equipment and knowledge to meet our customer’s needs nationwide. BSB Construction is a leader in asbestos abatement, mechanical removal and preparation of all flooring systems for commercial, industrial, & athletic applications. Concrete slab rehabilitation including Shot-blasting, Grinding, Scarifying, Milling, Polishing and Densifying. BSB has several Shot Blast machines for substrate profiling, as well as Planetary Orbital Diamond Grinders in various sizes to meet your specific project needs. 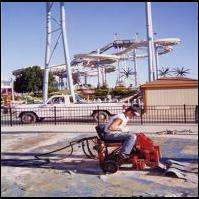 The Tooling on these machines range from the most aggressive coatings removal, to finely polished concrete surfaces. BSB’s ride on Floor Scrapers are designed and built by BSB and can remove more flooring than a crew of 10 in one shift. They are fumeless and relatively quiet, allowing BSB to work in occupied buildings. BSB is requested to work on projects all over the country. Our customers rest easy knowing that their specified requirements will be achieved. BSB has contracts with companies such as IBM, Orange & Rockland Utilities, Central Hudson Power, and Vassar College, just to mention a few. Our standard of work practices allow us to complete projects in medical facilities, laboratories, food processing and service facilities, manufacturing plants all without incident. BSB has also completed projects within secure locations as the US Mint, and The United States Capitol. BSB works side by side with its manufacturer suppliers to ensure high quality control standards affording our customers warranties when applicable.